In this article, I will explain you how can we use the AutoComplete Feature in winform application using C Sharp. 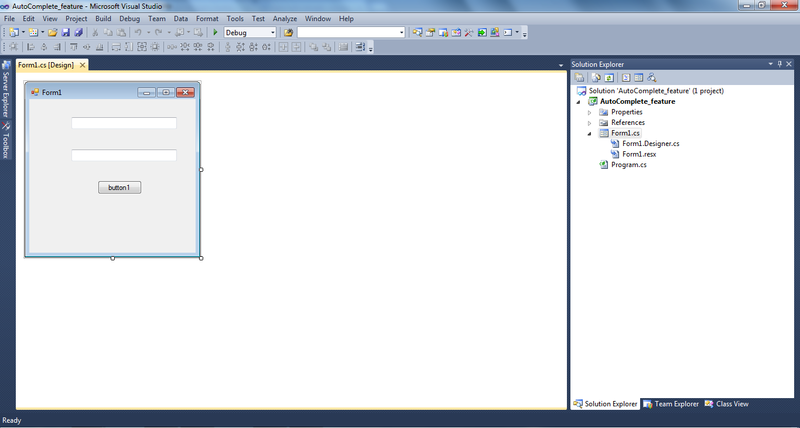 For example I have created a winform application using c sharp from the Visual Studio. You can follow the given below steps to achieve the solution. For any graphical user interface, this may become very usefull feature that makes it easy for users to fill in applications or forms by suggesting them suitable words or phrases in appropriate text boxes. So, while it may look like a tough job; it’s actually quite easy to use this feature. The text boxes in C Sharp contain an AutoCompleteMode which can be set to one of the three available choices i.e. Suggest , Append or SuggestAppend. Any choice would do but my favorite is the SuggestAppend. Next we must set the AutoCompleteSource to CustomSource because we will supply the words or phrases to be suggested. 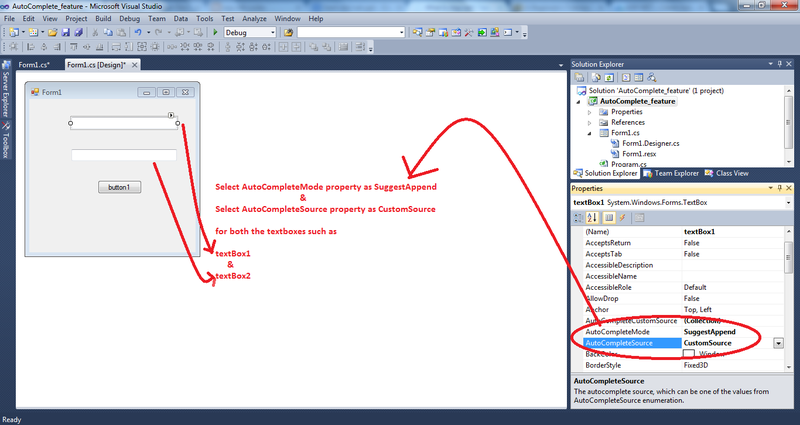 The last step includes calling the AutoCompleteCustomSouce.Add() function with the required. Hope you have enjoyed this step by step tutorial to learn how to AutoComplete Feature in winform application using C Sharp. 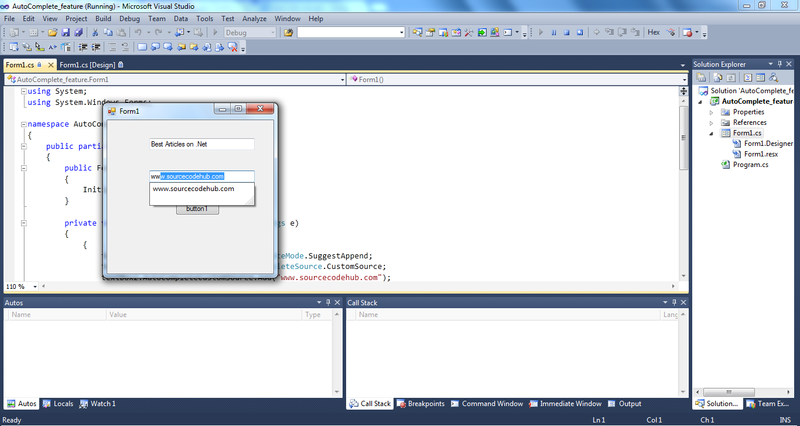 if you have some suggestion, question, request on AutoComplete Feature in winform application using C Sharp.